One absolute MUST in the home buying process is getting a professional home inspection. 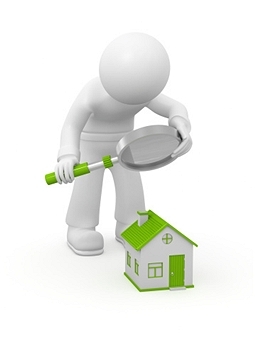 Both old and new homes should be inspected to see if any defects exist. You don’t want any surprises after you move in, right?! Your contract may include a contingency that gives you a certain number of days to complete a home inspection and to ask for repairs or cancel the contract if needed. As a home buyer, you want to make an informed decision. A home inspection is a prime opportunity to uncover any red flags that may affect your final decision. If an issue arises, then you’ll need to decide if it is a deal breaker or not. First, make sure you hire a reputable and experienced inspector. Most states don’t require licensing so you want to find someone who is highly recommended, works full-time in the field, and is affiliated with a professional organization. Also look for someone who’s familiar with local building codes and the home’s type of construction and age. Keep in mind that inspectors look for deficiencies that are in view and won’t pull up carpet or look for any other hidden defects. You can ask the sellers for permission to remove carpeting or paneling if something seems suspect. Also, if the inspector has serious concerns about a specific element, then you may need to hire an expert – such as a structural engineer, HVAC contractor, or plumber — to give you a more thorough evaluation. If a home is vacant, make sure the seller will have all the utilities on during the inspection so the inspector can see how they operate. You don’t want to incur the cost of a second trip out to your home! On average, a standard inspection can take 2 to 4 hours depending on the size of the home and can cost a few hundred dollars. Ask to be one of the first or second appointments of the day, so you have a “fresh” inspector who will take time at your home. For an additional fee, some inspectors may include items such as wood destroying insects, rodents, mold, fences, pools, spas, sprinkler systems, septic tanks and also environmental services, including testing for radon, lead, asbestos, carbon monoxide, and formaldehyde. Usually a specific license is required to inspect these items so check to see if your inspector can handle them. If not, you will need to bring in an expert if you have any concerns. Having an inspection is a great opportunity to gain some first-hand knowledge about the home you are about to purchase. You should accompany the inspector during the inspection to take advantage of their expertise and find out how the home functions. During an inspection, you will see what type of systems exists in your home (and their condition) and also learn how to maintain them to improve the enjoyment and value of your home. It’s a good time to ask questions so you understand your home AND the inspection report you’re about to receive! After the inspection, you will receive a signed report that summarizes what was discovered. This report is your property and no other party is entitled to see it. Ask if you will receive the report on-site or will it be emailed to you. Remember, it’s important to understand that an inspection is not a warranty since it is limited to what is visually accessible at the time of inspection. Many inspectors carry errors-and-omissions insurance but their contracts often limit their liability to a refund of the fee. Take the time to carefully review this report and reconcile it with the seller’s disclosure statement. If nothing is amiss, you can go forward with your purchase. However, if the inspector discovers some defect, you now need to make a plan of action to resolve the issue or just cancel the contract. If something was red flagged in the report, you may need to hire an expert and get some estimates for needed repairs. Knowing what you’re willing to fix or not fix is important. Talk to your agent, family, or friends and also call a contractor to discuss which defects are minor or not. For some items, it could be a simple solution. A trip to the hardware store may be all that’s needed. Get a list of those items you want to fix and price it out yourself. Most importantly, decide if you want the sellers to fix it themselves or offer as credit. If you have a choice, sometimes it’s smarter to hire your own contractors and supervise repairs. Before issuing a formal “request to repair,” consider the seller’s incentive to hire the cheapest contractor or to replace appliances with the least expensive brands. No home is perfect but at least a home inspection gives you some guidance on what you are facing. Only you can decide what you are willing to accept or undertake if you decide to buy this home.